Happy Friday! I hope you are all looking forward to the weekend, I know I am. This RTW Fast is proving to be very rewarding, I think I mentioned that in another posting. So much so that I have decided to "ramp" things up a bit. I have been writing reviews of the patterns that I have been sewing (I have to finish up a few) on the website www.patternreview.com this site is fantastic for looking for inspiration and to see what others are saying about a pattern BEFORE you sew it. Besides the pattern review, you can do a bunch of different things there. Pattern Review also holds contest for their members, which I didn't know. Well as if I don't have enough pressure, I decided to enter the contest, Inspired by the Movies Contest. The contest runs from Feb 1 to Feb 28. I can do it! I must be nuts! As I writing this, I am realizing that now I am asking people to "judge" my work and compare it to others. Am I ready for that... This is my problem, I get excited about an idea and I run with it and then think about what will happen after. 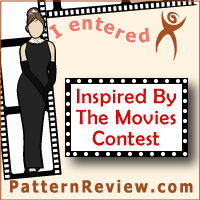 The contest ask that you find an inspirational movie fashion choice (i.e. outfit, dress, coat,etc.). It cannot be a costume, anyone who knows me, know how much I "love" Halloween, so that rule is okay by me. Anyway, it has to be something that can be worn to work, party, etc. There are a bunch of other things as well, but I won't bore you with the details. 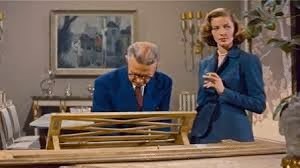 I recently watch the movie "How to Marry a Millionaire" that stars Marilyn Monroe, Betty Grable and Lauren Bacall. It was very entertaining and I thought, the styles are fantastic, so I am going to enter a dress that was inspired by that movie. Wish me luck...your encouragement (and your vote) will be greatly appreciated as this is the very first time that I have ever done this! Now on to shopping for a pattern and fabric, I knew I would find away to feed my fabric addiction.